The trouble with politics isn’t so much that people don’t agree on basic principles about good and bad, right and wrong, but rather that they cannot agree on how to achieve any such principle. We all believe, for instance, that freedom is necessary in order for a good life to be lived. We do not agree, however, on an absolute formula for a way to achieve freedom. In fact, many of us do not even agree on the exact meaning of freedom. In reality, being free consists of two parts which can simply be referred to as “freedom from” and “freedom to.” For example, in order to protect your freedom from bodily injury, the state must take away my freedom to punch your nose with my fist. Thus, true freedom also means giving up certain freedoms. Balancing the free will of the masses is the reason government is necessary. In America, traditional beliefs about freedom and happiness are derived from a limited government that endorses a free market approach to enterprise. The fate of American Capitalism rests on the ability to choose one’s own business, purchase private property, operate with a profit motive, and succeed or fail based on competition and consumer values. In a nutshell, these concepts seem both reasonable and fair, but the concepts themselves do not indicate how free a market should be. After all, there must be some form of regulation. 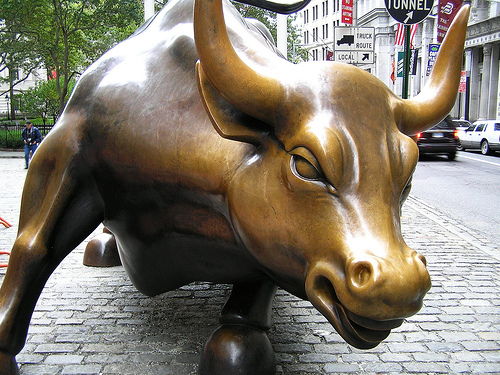 How much control should government take over an otherwise free market? Remember the example about my fist and your nose? Well let’s apply that to American enterprise. In order to protect your freedom to compete in the free market and/or purchase goods at a fair price, I must be willing to give up my freedom to use my business and profit motives to lie, cheat, and steal from you. This is where government regulation becomes relevant to free enterprise and is the point at which the slope has become particularly slippery for our political leaders. It is also the point at which the water of debate among Americans becomes particularly murky. Often, those who fear big business push for big government, and those who fear big government pull for big business. As with most issues, the instincts on both sides are as right as they are wrong. In truth, it is the coupling of big business with big government that has tainted the reputation of free market capitalism. Throughout human history, politicians and corporate entities have proved incapable of swimming out of the cesspool created by greed and control. Those who dare to challenge this statement need only look at the existence of black markets. A black market only exists because people either want something they cannot have for a fair price, or they want something they cannot have at all. And who paves the way in making products available, setting prices, and determining whether or not we are allowed to have a particular product? Big businesses (greed) and big government (control). Black markets, however, are a mere sample portion of the problematic substrate that trails behind the ongoing marriage between politicians and corporations. 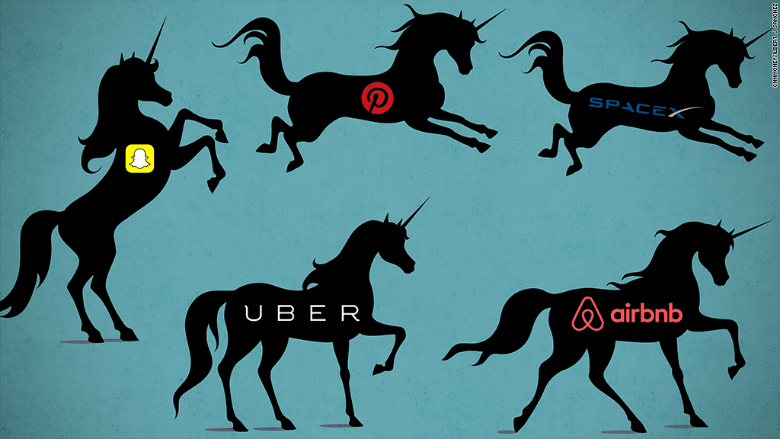 Greed and control also drive most of the politics surrounding “unicorn” solutions for inequality (unicorns = companies valued at more than $1 billion). It turns out that politicians not only cater to their largest campaign financiers, but also to the electorate whose votes can be auctioned off to the highest bidder. Take poverty as an example: Clearly, there is nothing equal about the many Americans who live without basic necessities of life, but is asking a greedy government that thrives on control really our best hope for a solution? If you are the kind of person who would feel confident asking a tiger to lead you out of the jungle, then you might answer with a resounding yes. But for the rest of us, it seems clear that we have been looking to the wrong people for help. In reality, free market capitalism in America isn’t so free. After the government and the big corporations have divvied up their slices of the pie, very little is left for the rest of us. Unfortunately, this scenario is one that is very difficult to reverse, but as long as we are on the subject, let us consider a hypothetical: Say that the government removed itself entirely from all market affairs. No longer do restrictions or legal minutia prevent people from forging ahead with their business ideas, and no laws exist to prevent people from taking advantage of one another. Naturally, some will be smarter, some will work harder, and some will be more successful. And when the best business minds begin to lap everyone else in the rat race, they will find themselves very rich. Some of these people will use their money to contribute to the betterment of society, and some won’t. Some will be overrun by greed, and they will work with others who share their sentiments. Together, they will create a system that they can manipulate and control in order to grow their profits. Average people, many unaware of what is happening to them, will be at the mercy of these select few. Soon, those who are being put through the ringer will wise up and recognize the problem. They will be the ones who push for new laws, new regulations, some form of governance over the slavery of their free market. And if they are successful, meetings will occur, laws will be written, and government will intervene. Before long, this minority of wealthy crooks will have limits set on their practices. For a period of time, people will have a restored faith in the system and in the government they have chosen to referee their market. But it won’t be long before greed flares up again as wealth will this time be used to test the will of government leaders. Soon enough, politicians by the jet-loads will be flocking into the warm confines of the deepest pockets in the country. And once again, the backbone of the nation, its average citizens, will suffer the disadvantages being dealt down by the powers that be. Trust in the market, its biggest marketeers, as well as the politicians who were put in place to prevent such cooked practices, will flounder. Only now, people don’t know where to turn for help. The truth is a free market can only be free insomuch as that it allows people to freely choose their businesses, purchase property, and compete on a level playing field for profits from consumer dollars. A level playing field and consumer dollars means that there are equal limitations, laws, and market freedom for all businesses and entrepreneurs and that money is earned solely as a result of legitimate trade as opposed to backroom political agendas. Apart from these very basic measures, not much else can be expected from a good government. Good businesses should ultimately succeed or fail at the mercy of their consumers and clientele.